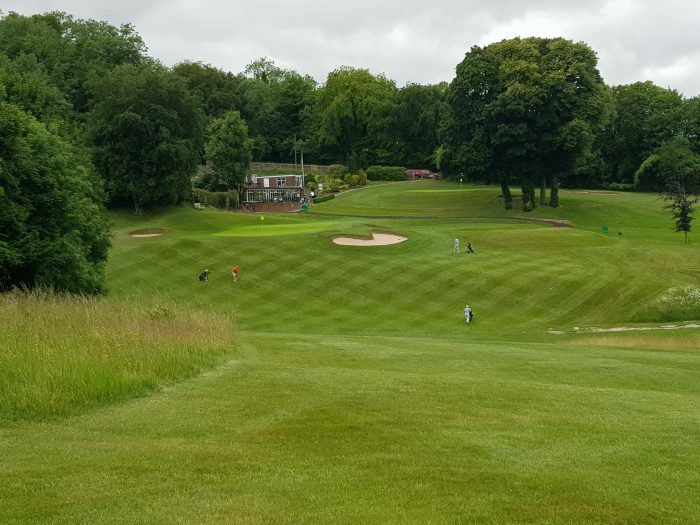 The greenkeeper at Whiteleaf GC in Bucks explains how the Colt-designed venue usually remains open 365 days of the year – despite being maintained by just three greenkeepers, one of whom is a part-time volunteer. Whiteleaf Golf Club, which is also home to Monks Risborough Cricket Club, was founded in 1907. 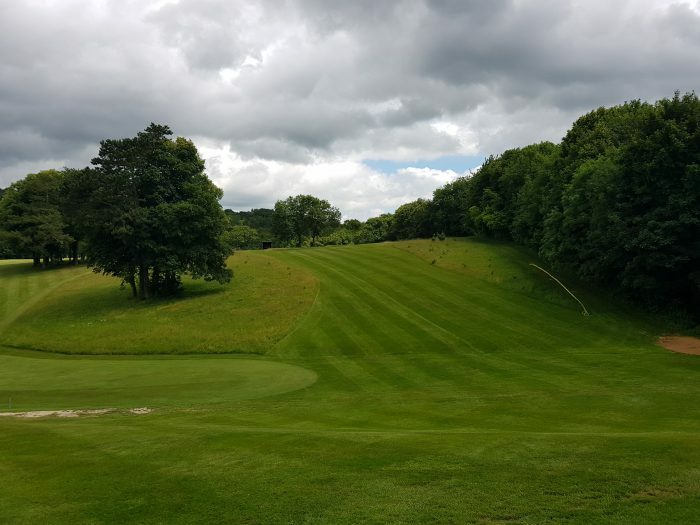 Tucked neatly behind Whiteleaf Cross and overlooked by Pulpit Hill with its ancient hill fort, the course underwent major changes to its design soon after the end of the First World War. The club acquired additional land and soon engaged in consultation with the design services of the legendary Harry S. Colt. 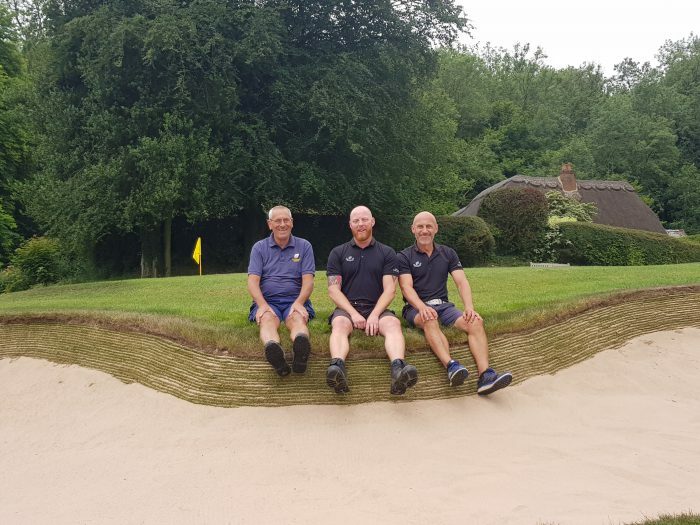 The Golf Business caught up with its course manager, Mike Ginger, to find out how the venue is kept open 365 days a year despite it only having two full-time employees. “We have a very small team at Whiteleaf to say the least; myself and my deputy Justin Sugg are the only members of staff employed by the club,” he said. “While the course is nine holes, the whole area to be cut is around 12 hectares, so the pressure is on all year round. 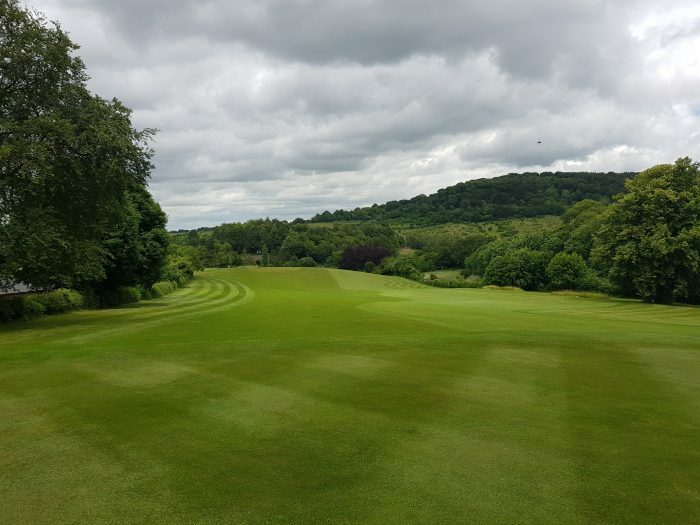 “We are lucky enough that one of our long serving members, Roger Smith, is a retired greenkeeper and he gives his time, free of charge, on a regular basis. He normally cuts the rough and fills in anywhere he can which is an absolute God-send because without him the task would be nearly impossible. Despite this, the course is open 365 days of the year. 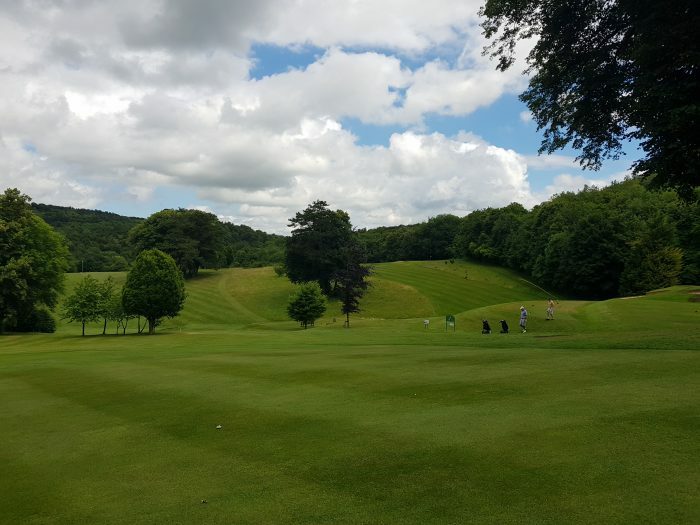 “We have to be very proactive with all aspects of our course management as we need to be one step ahead of any potential problems that may arise,” he explained. “Normally most challenges come from the weather so we are part-time meteorologists these days on top of everything else. The management during the winter months is key to everything that we do through the rest of the year. If we come out of winter in bad shape then with limited budget and resources it is incredibly difficult to get up to speed in time for the season and then we are continually chasing our tails. 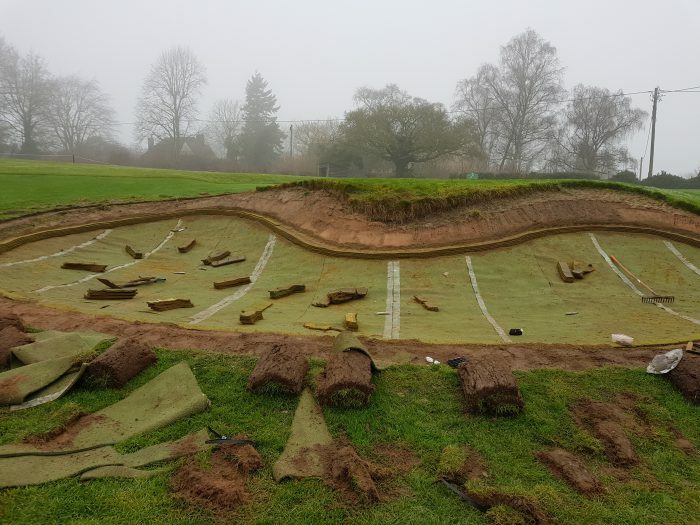 “I know that the use of temporary greens and winter mats is a contentious issue with golfers and greenkeepers alike but the use of them has been invaluable to us over the last nine years. We have very small surfaces so we can’t spread winter wear, and while we use temporary greens as infrequently as possible it does make a huge difference. 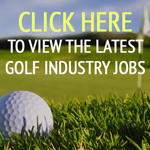 How does the club thrive with just two full-time greenkeepers? 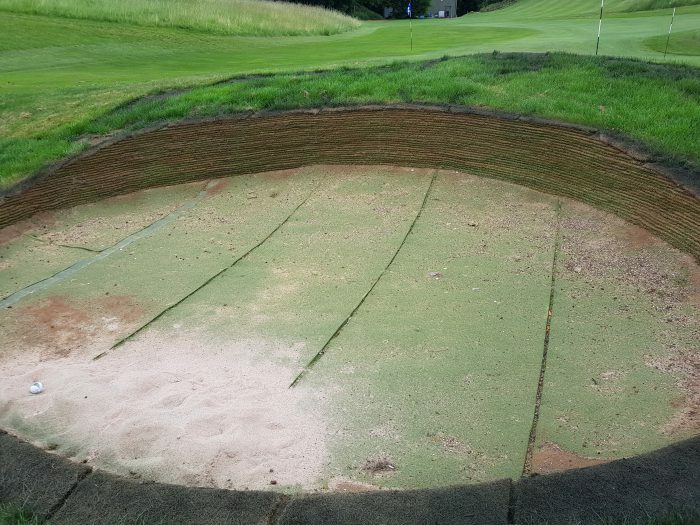 Despite the strength of the system, last July the course suffered storm damage that caused enormous damage to the club’s bunkers. “We were unfortunate enough to be right in the path of a storm that deposited a huge deluge of water in a very short space of time, flooding not only the course but parts of the clubhouse as well,” explained Mike. “All of our 23 bunkers were either washed out and / or had vast amounts of silt and soil left in them. 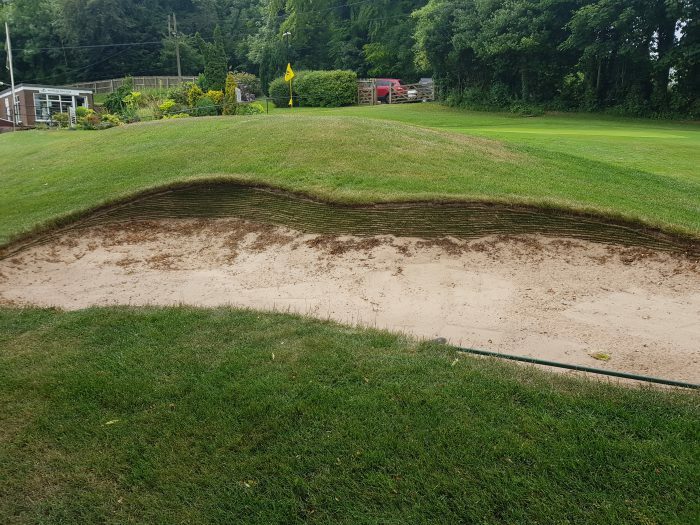 With the help of some volunteers from the club we were able to clear out and then reinstate the sand in 14 of the smaller, flatter bunkers. 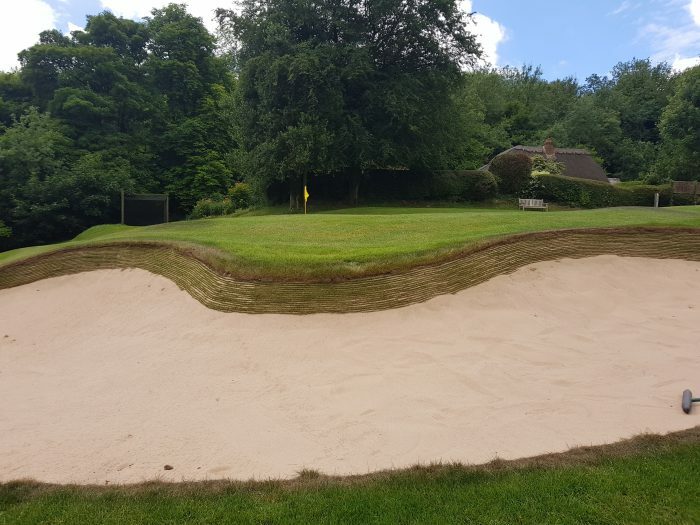 Being a very hilly course, we had some bunkers with large, steep sand faces and so were faced with a decision: reinstate or look for a solution. There was obviously a fault with the design of the bunkers and while the weather we experienced was certainly freakish it is certainly becoming much more likely that storms of this nature can and will affect us again. We felt that rather than reinstate the bunkers as they were and possibly throw good money after bad that we would seek out a possible solution. 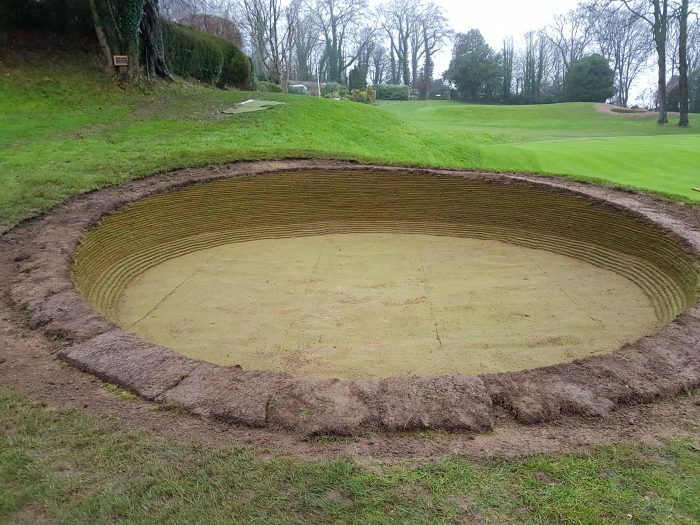 I was aware of the work that EcoBunker had been doing after seeing some renovations on a seaside links earlier that year and also through the industry press. 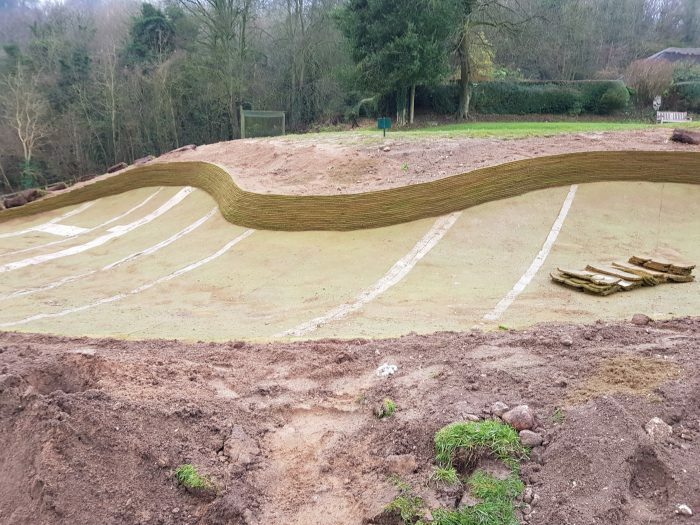 Their ideas of softening the steep sand faces with artificial revetting and re-designing the surrounding areas to re-direct the water away were instantly appealing and quite quickly it was decided that this was our preferred solution. “The work was scheduled to start in late November and would take two weeks to complete the work on nine bunkers. Unfortunately, heavy snowfall limited the work to only a couple of days so the EcoBunker team had to return the week before Christmas. 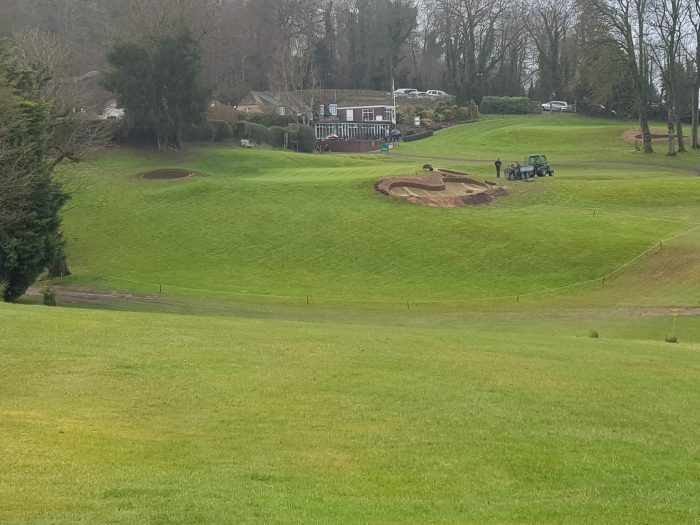 Five of the nine bunkers were completed and work was due to re-start in the new year. Once again heavy snowfall delayed the work from continuing and eventually the last four were completed in late February. We managed to have them back in play towards the end of March which was eight months after the storm. Once again, having an understanding membership that could see the benefit of the work was invaluable. You may have noticed that the weather plays a huge role in the maintenance of the course. “The course is situated on the second highest point of the Chilterns and is north facing, so the cold weather and in particular the snow earlier this year caused us some serious problems,” explained Mike. Whiteleaf was awarded Local Wildlife Site (LWS) status in 2016 as it has a number of native orchids such as the scented, pyramidal and bee along with other native flora. There are also a few colonies of glow worm in the long rough areas and Mike manages these habitats with their welfare in mind.